My sister, Brightside, hiked on the AT from Springer Mountain in Georgia to Hanover, NH this year. This a photo she sent me of her friend Kiwi. 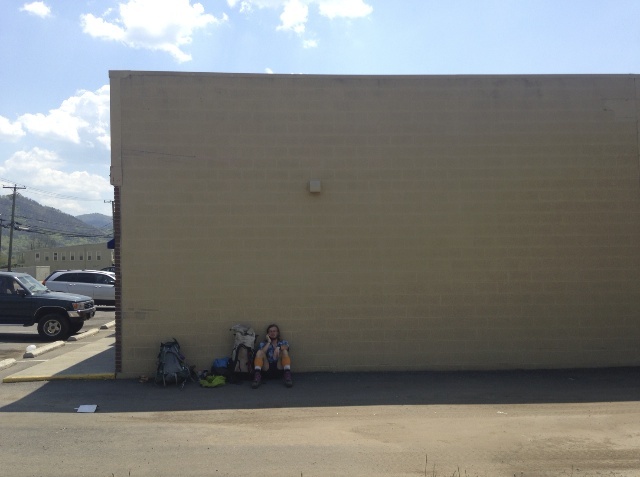 In the shade of a box store in a trail town, this is one of many breaks from the trail where they restocked their food and supplies, and did the occasional laundry load. I’ll leave you with this Mountain Song from Danny Connolly & friends!